Located on the bayou in St. Tammany Parish, Bayou Haven is just minutes from both downtown New Orleans and the Mississippi gulf coast. 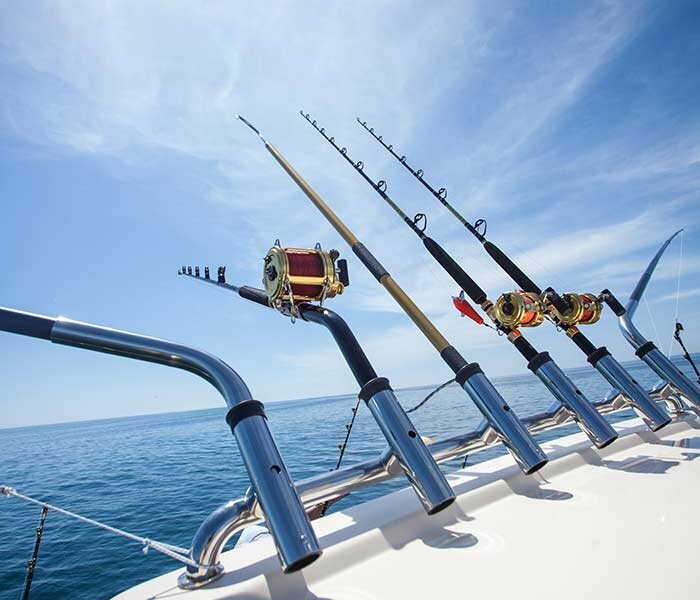 St. Tammany Parish is perfectly centered to allow easy access to all of your destinations. 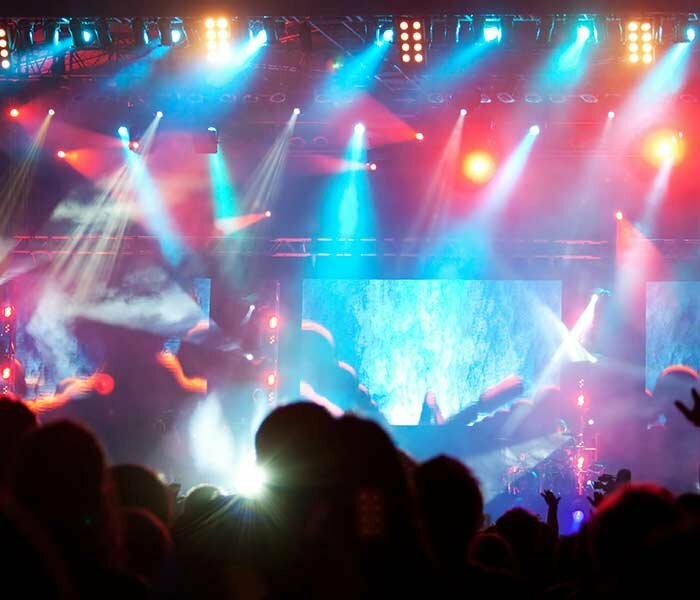 Within a 30 mile radius, you can join a celebration of food, art, or music on a monthly basis. While you're enjoying the beauty and tranquility that our property has to offer, let us design a vacation package that will meet all your needs. And, so you can enjoy the celebration without worry, we can provide transportation. Two nights in the stunning Egret Suite, with use of our attached make-up room the day of the ceremony. Invite your bride's maids for hair and make-up preparation. Use of the beautiful suite for 2 hours (max 10 guests) so you can enjoy the special moments made while getting ready for your big day. Celebrate before, with your bridal party...and celebrate after, as Mr & Mrs! Let Bayou Haven Bed & Breakfast treat you like a princess and create your perfect Cinderella story. 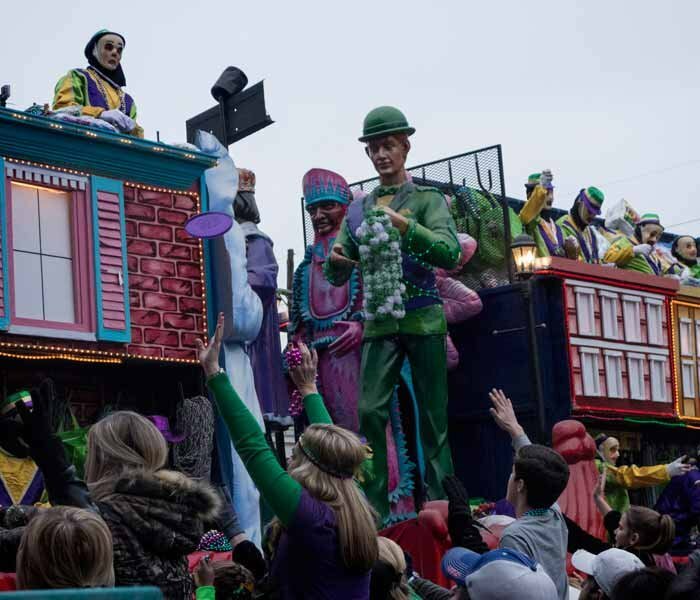 This exclusive four-day, 3-night package lets you experience a once in a lifetime opportunity to first hand attend a Mardi Gras ball where revelers relax, dance, eat and drink awaiting the parade to come inside up close! The magic of Mardi Gras is in the outrageous costumes, the lively music, and the spicy, flavorful foods. 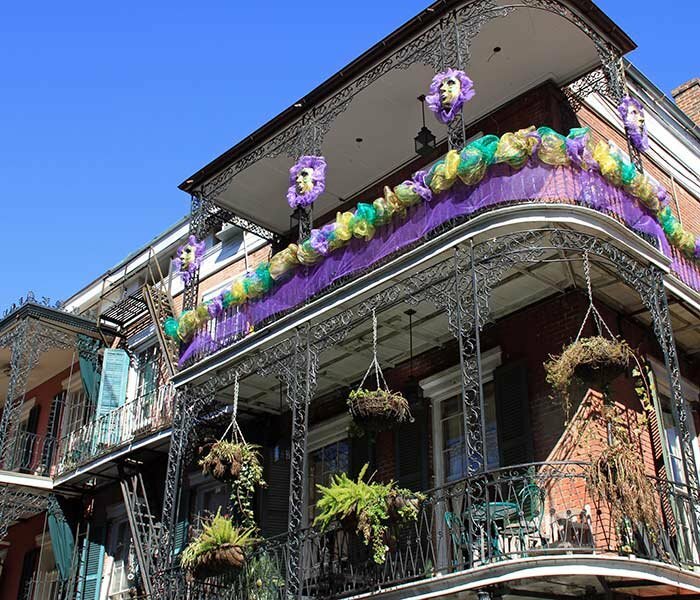 On this trip, you will visit the historically famous Old French Quarter of New Orleans and its surrounding areas. 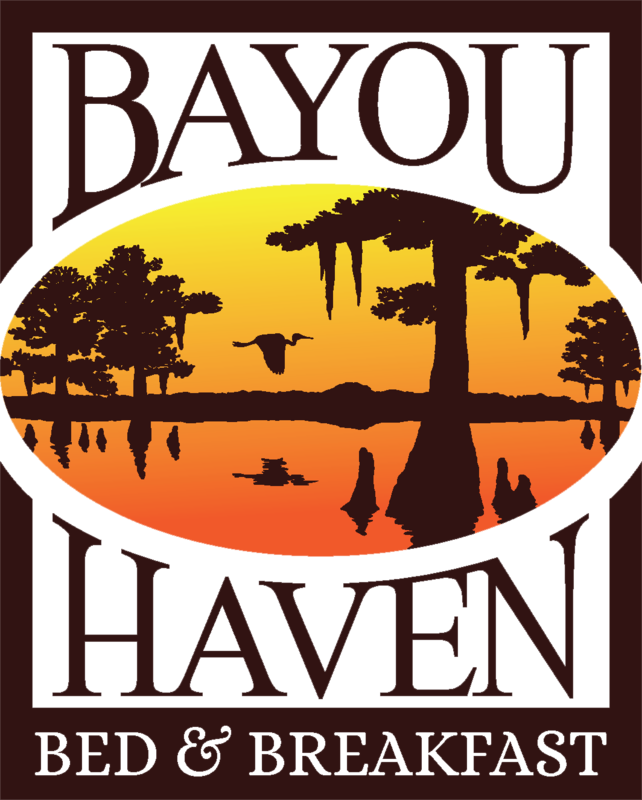 Accommodations will be provided at Bayou Haven Bed and Breakfast, where you will get to experience the beauty and tranquility of bayou life only 30 minutes from the bustle of the city. For more information and to hear all applicable details about this package call! Reservations are filling up fast! Don't get left behind this year! Celebrating a birthday, anniversary, honeymoon or just life? 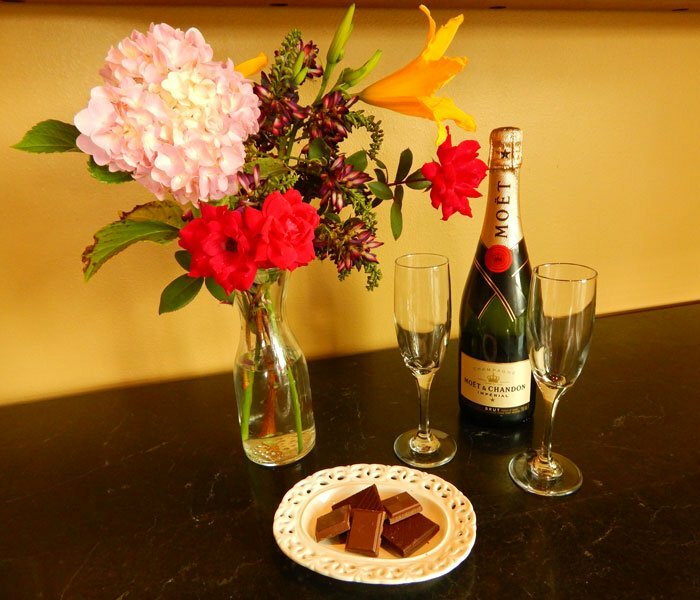 Make the celebration memorable by adding sparkling cider, flowers, hand-made European chocolates (individually or in any combination) to your room reservation. Add individual or couples massage to enhance your stay. Joining us for a specific event? 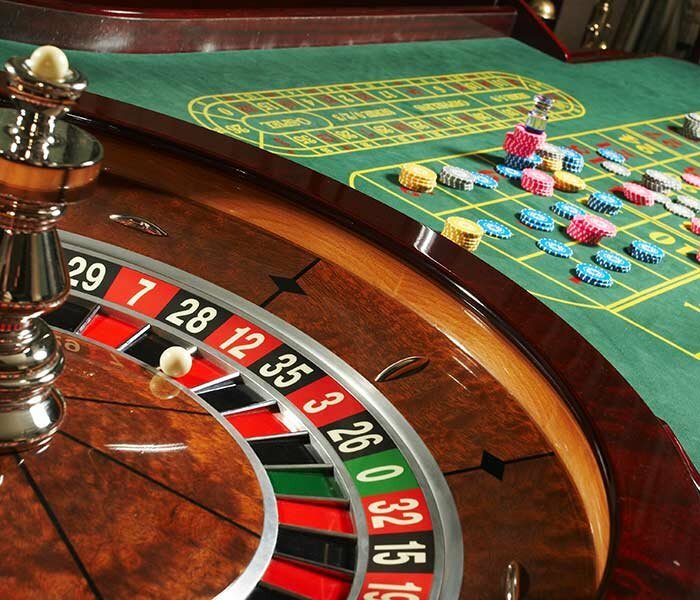 Packages include room, event tickets and transportation to and from event. Fresh water or salt water trips available from our pier. 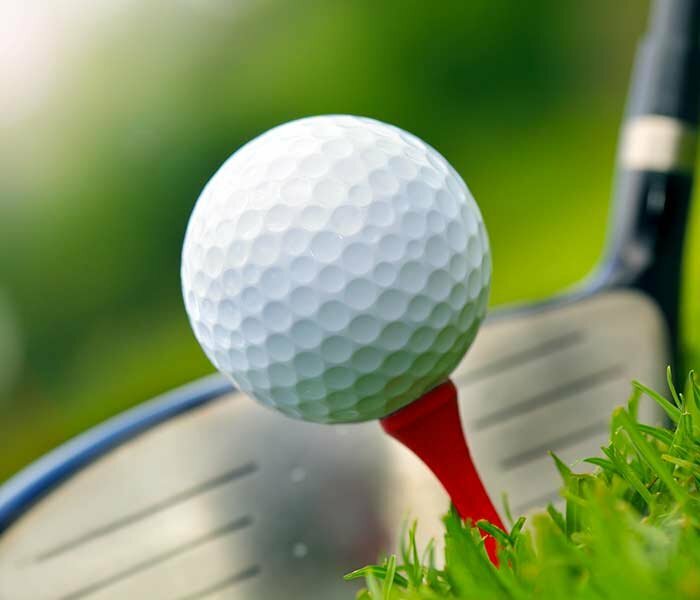 Transportation and green fees at Oak Harbor or Royal Golf Courses in Slidell. Local tours can also be booked through our office: Swamp tours, Abita Brewery, Pontchartrain Vineyards, New Orleans Garden District, French Quarter tours, Avery Island (Tabasco) tour and many others. Transportation provided. Prices vary by tour and can be included in room charges. Let us prepare a delicious picnic basket for 2. Customize your basket from the list below, and enjoy dining in our beautiful gardens, on the pier or next to the fountain in our courtyard.